Outside of 5 Poplar there are 5 bottles labeled A, B, C, D and E. You simply need to estimate the volume of liquid in each bottle to be in with a chance of winning a prize (the closest estimation will win)! Don't forget to write your name next to each estimation! Good luck from Mr Mustard! Finally we have ourselves a beautiful butterfly. Was your guess correct? 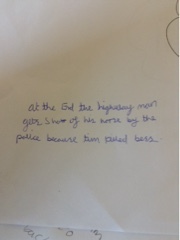 This week we have started looking at the poem ' The Highwayman' by Alfred Noyes. 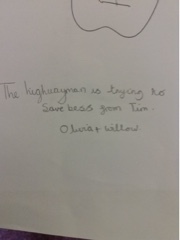 After looking at the characters of the Highwayman, Bess and Tim, we predicted what might happen in the poem. 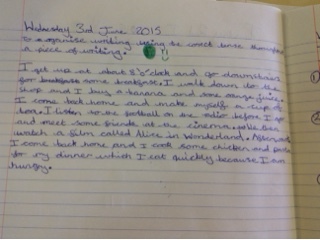 Over the last few weeks we have been looking at Non-Chronological Reports. 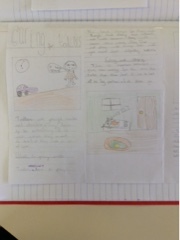 We have made information leaflets about subjects we know lots about. Here are some of our wonderful examples. 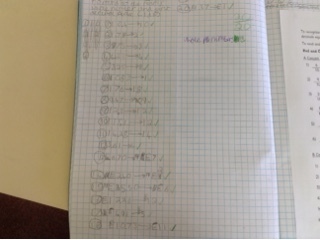 Throughout the year, 5Poplar have been using the RUCSAC method to help answer word problems. This method has been very successful helping us to break questions down into smaller and easier steps. 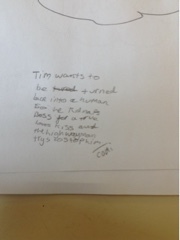 Well done Tyler, keep up the good work! 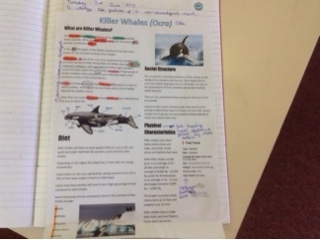 This week we have begun to look at life cycles of different animals. 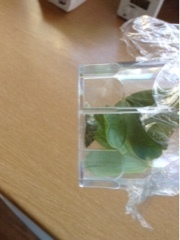 We looked at different insects, like the dragonfly and the butterfly. 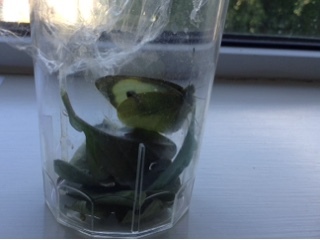 Here is a cocoon that was found. What do you think the emerging adult will look like? 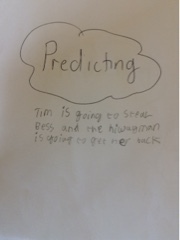 Draw a picture to show the class. 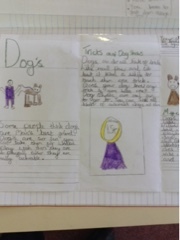 We have started our new Literacy topic looking at how to take a paragraph and find the key information from it. 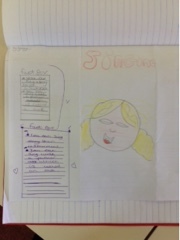 We then found out what features make a good Non- Chronological Report. 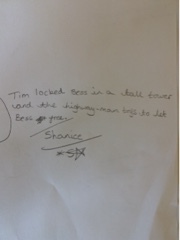 As a feature of this type of writing is the present tense, we changed the tense of a passage from past tense to present tense. 5 Rowan compared and ordered decimals this week. We also rounded them to the nearest whole number or the first decimal place. 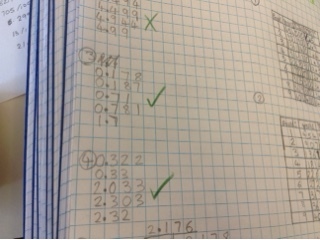 Then we looked at converting tenths, hundredths and thousandths to decimals and decimals to fractions. Today 5Poplar were focusing on negative numbers! 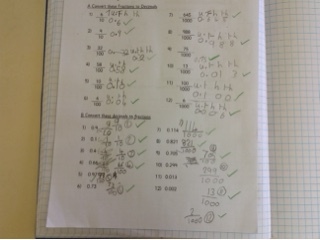 The class realised that writing the numbers on the scale BEFORE answering the questions made it a lot easier!